Left Bank Pictures, the producers behind Netflix’s monarchy fantasia The Crown, have apologized for all the fuss they caused after comments they made about Matt Smith and Claire Foy’s salaries. 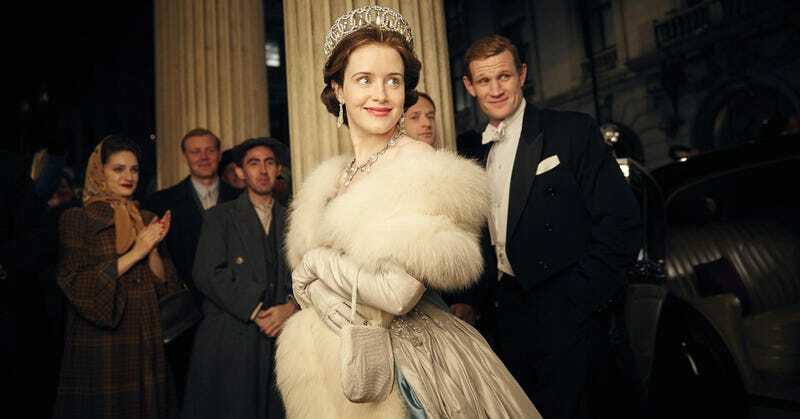 On March 13, producers of The Crown said at the INTV Conference in Jerusalem that Matt Smith—Prence Pheelip, for Crown heads—made more money than his co-star, Claire Foy, due to the fumes of his fame from Doctor Who. This small fact did not go unnoticed by fans, who eventually crafted a Care2 petition calling on Smith to donate the difference in salary to Times Up. Foy’s salary is reportedly $40,000 per episode; Smith’s has not been disclosed, and to speculate on what it might be will only cause agita—as he was on Doctor Who, it’s probably a lot. Hence, the problem. “Going forward, no one gets paid more than the Queen,” Left Bank creative producer Suzanne Mackie said on March 13 in Jerusalem, shortly after acknowledging that Smith made more than Foy. A stirring sentiment indeed, considering the show is about the Crown, which is worn NOT by Prince Philip, but by Queen Elizabeth; also a curious statement when you consider that Foy’s time on the show is up. The third season of the show will feature Olivia Colman as QEII, for the producers are rightfully forgoing the nightmare that is aging makeup and prosthetics. So: Olivia Colman as the Queen will make more money than Claire Foy did, which is a great solution for Olivia Colman, but not so much for Claire Foy.